Awakening: Moonfell Wood is one of the most gorgeous games that I played recently. You are taken into a fairy-tale world to help a just woken up princes find the answers to all of her questions regarding what had happened with all of the inhabitants. Most of the time you get to wonder around and interact with different items. The game is not an easy one. 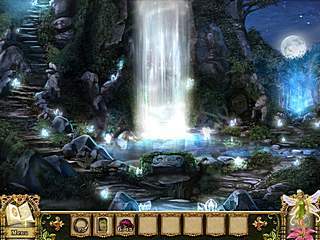 Starting the game you are to choose one of the two modes to play: Normal or Casual. Their names seemed a bit confusing for me because they sound the same, but they are not. The Casual one is the easier one where you get to tasks and hints sooner that in the Normal one. Then you get to play. The story tells you that there was a princes who slept for 100 years. Then she woke up, but didn't find anyone around. So now she is set to find out what's going on. Of course, there is no magic world without a witch in it, so you could expect that character to appear sooner or later. Anyways you are to help Sophia find the answers now. By the way the game suggests you that player's name, but you can change it if you don't want to. 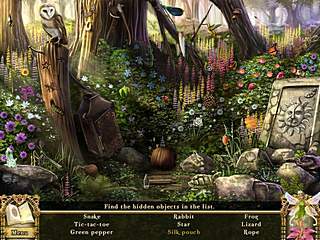 The game belongs to the popular hidden object/adventure genre. Most of the time you get to wonder around and interact with different items. The game is not an easy one. So sometimes it takes some logic or reasoning or skill to figure out where to find what you need, when even hints don't help. Then there are hidden object searches, where you are given a list of items you need to find. Those are not very challenging, plus you have a hint to help you out when you are stuck. And in the Casual mode it recharges very quickly compared to some games. So you shouldn't have any problems with those parts. Sometimes you will come across an item that needs more of an interaction with you than usually. This is the way the mini-games come into picture. Most of them are same old puzzles, but they are still fun to play along the way. The whole game looks amazing. The graphics clearly tell that a lot of work has been done. And that is always great when you really enjoy something you are going to spend a couple hour of your life on. The music is nice and smooth and fits into the general atmosphere perfectly. Awakening: Moonfell Wood is an amazing place to stay for a while after all of the celebration and fun of the holiday season. 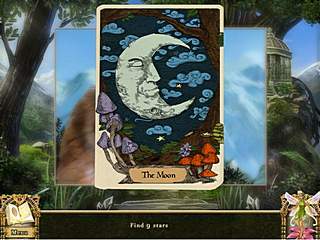 This is Awakening: Moonfell Wood for Mac OS review. Download this game here.